Top 7 Takeaways From Our ABM Workshop. A Marketing Practitioner’s Guide to ABM. Webinar: Are You Ready For Account-Based Marketing? Learn how to get your business ready for ABM from a world leading expert. ABM. It’s a B2B Modern Marketer’s Imperative. 4 Head-Turners from the SiriusDecisions Europe Summit. Account Based Marketing (ABM): Your Path to Customer Success from Day One. 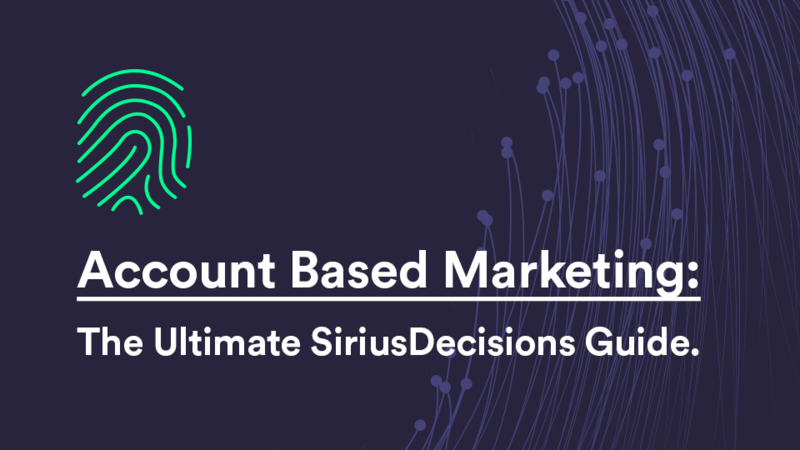 Account Based Marketing (ABM): The Ultimate SiriusDecisions Guide. This blog originally appeared on the SiriusDecisions’ blog and was written by Jessica F. Lillian. Atomic Beta Signs with SiriusDecisions. Marketing Content to Make Sales Look Amazing.